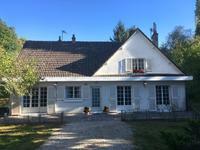 Charming ancient fermette tastefully renovated and decorated 3 bedrooms 1 on ground floor, 2 . . .
5 Bedroom house with stunning views overlooking the Loire river at Gien in the Loiret centre val de loire. 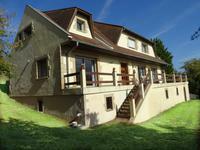 5 Bedroom house constructed in 1977 overlooking the Loire river on the edge of the historic . . . Spacious house to refresh with large garden and more potential to expand the living . . . Recently renovated house on sous sol / basement Ground floor 3 bedrooms 1 bathroom with . . .
5 Bedrooms 2 bathrooms Open and equipped kitchen Double glazed windows Electric . . .
3 Bedrooms Fitted and equipped kitchen Open fire Large salon 1 bathroom Double garage . . .
4 bedrooms and mezzanine 1 bedroom ground floor Fitted and equipped kitchen 2 . . . 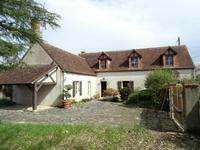 Typical longère type property 150 years old full of charm and character Stone and colombage . . .